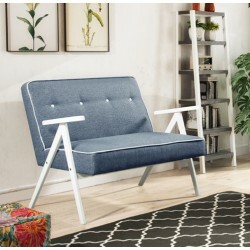 The price includes two pcs of the armchair and one piece of the sofa. Excellent set, remarkable design, quality materials. Adel lounge set consists of a sofa 113 cm wide and two armchairs 64 cm wide each. 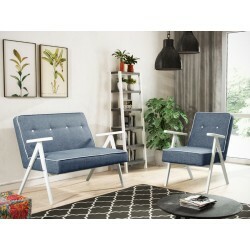 This set is a combination of modern design and comfort, thus, is ideally suitable for any living room. 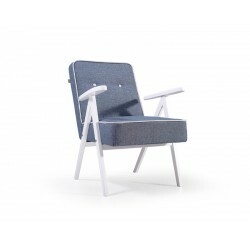 The Adel set has a slim and light appearance - a narrow frame, contrasting finishes and a large space under the seats. The colour variants emphasize the unique design of the Adel set. The furniture was made of high-quality materials.